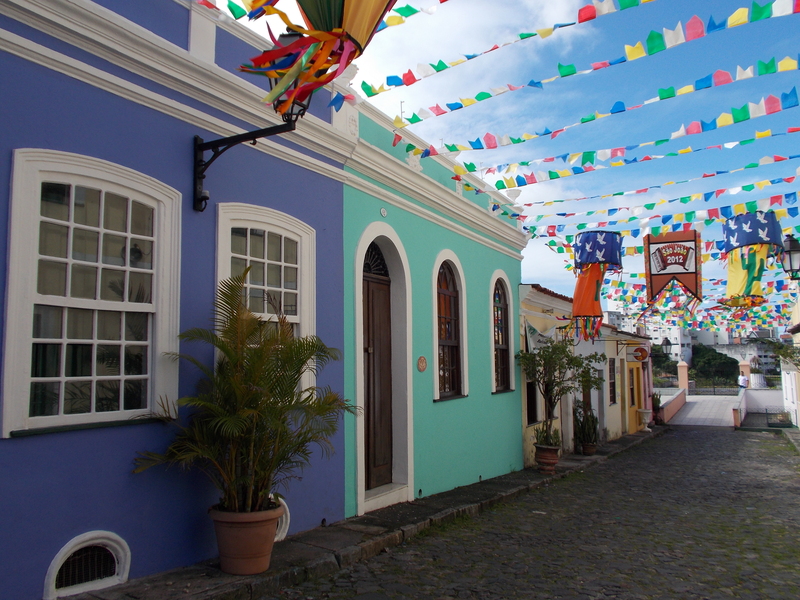 Arriving in Salvador in early June, the streets were already laced with strings of flags fluttering above the Pelourinho for São João. While the main festival is celebrated over the weekend of 21st-24th June, already the anticipation was building. Even the bus station was covered in festive red, white, blue, green and yellow. 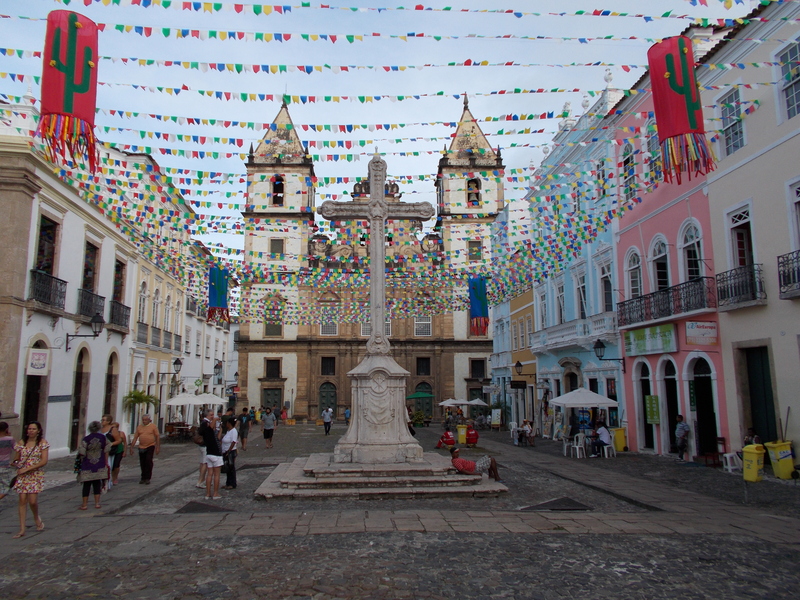 São João is also known as the Festas Juninas in other parts of Brazil, but it’s a huge thing in Bahia. Every village and town we passed through seemed to be preparing to celebrate. 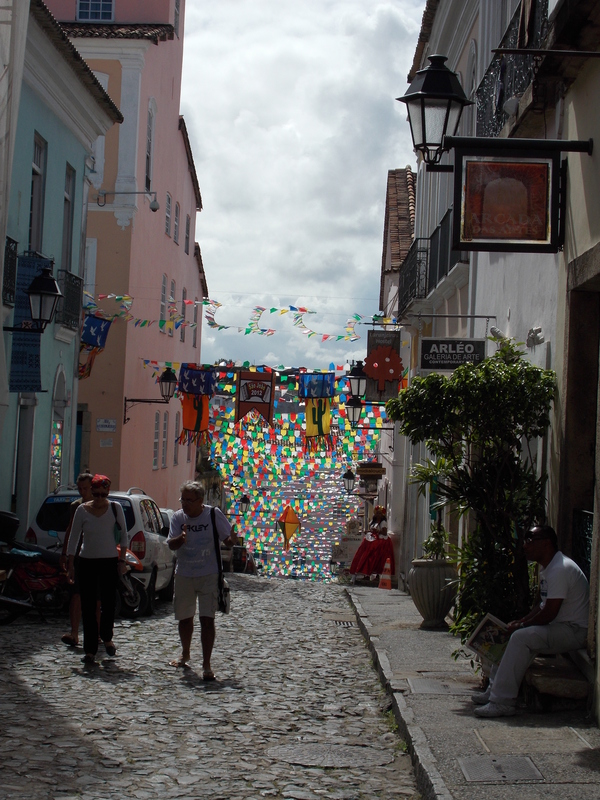 When we returned to Salvador at the end of our trip, the party was in full swing. A massive stage by the Elevador Lacerda and several other smaller ones, plus concerts in many of the little courtyards around the old town. Not knowing any of the artists we just wandered around for a while taking in the atmosphere; street carts selling roast corn and cheap beer and kids dressed in straw hats and country outfits.